It all started with one word in Netflix’s search engine: Road. It was late at night and I was surfing Netflix, looking for something exhilarating, dramatic and inspiring. I ended up coming across a documentary my brother had recommended, so I decided to watch it. The film was centered around the story of an Irish family of motorcycle road racers. The sport of road racing takes place on closed public roads. The racers zip around at speeds of over 300 kilometres per hour on roads lined with trees, garbage cans and driveways. Today, this traditional form of racing is not as common, and really only survives in places like Ireland or on the Isle of Man. The documentary details the rise of two brothers, Joey and Robert Dunlop, who sacrifice everything for their passion of the sport. Completely unafraid of death, the brothers choose to live on the edge doing something they believe in. Both are unanimously worshipped by fans of the sport, and now Robert’s sons, William and Michael, have also become champions. The documentary left me feeling utterly worthless and craving an opportunity to live my life with such fervour as the Dunlop boys. Although I’m chasing my dreams in real life, I don’t feel like a road racer, I thought to myself. How could I become a road racer? I knew I had to be in class the following morning, so I settled on pursuing the answer in my PlayStation Store—that’s when I found the game Driveclub. For $16, I got the entire racing game, including hundreds of car choices, and for an additional $16, I got the bike expansion. This is the kind of thrill I needed. Driveclub Bikes is the perfect concoction of thrill, challenge and, most importantly, fun. The game features 20 bikes from 10 different makers, including BMW, Agusta MV, KTM, Kawasaki and Yamaha. The motorcycles are astonishingly detailed and come in an array of colours for you to customize exactly how you please. The technical part of the game is to be admired just as much. The racing is challenging and highly realistic. Players have to take corners at the right speeds, brake perfectly, switch gears and avoid colliding with the 10 other racers. 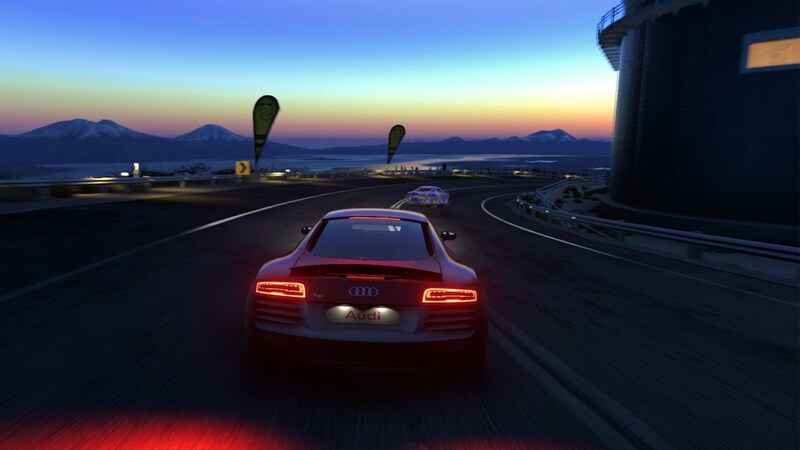 The best part of the game is the six camera angles that the player can choose from while racing. Driveclub has improved upon traditional first-person views by adding a camera that sees directly out of the racer’s eyes, as if you are looking out from the helmet. The game has a dimension of realism, achieved by the changing weather which ultimately makes it hard to see through your helmet. The game includes six country choices as well: Canada, India, Chile, Norway, Japan and Scotland. The resemblance is amazing. All in the all, the game matches up to competitors such as Forza, if not surpassing them. With similar games selling easily for up to $80 today, Driveclub is a refreshing addition to the market.